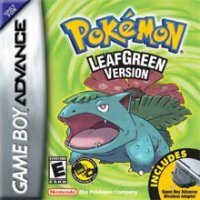 Pokémon FireRed and LeafGreen are the second Generation III Pokémon games, and the first pair of remakes, starting a trend for the series. They get their names from Pokémon Red and Green, the classic games which are known in the West as Pokémon Red and Blue. These games are an enhanced adaptation of the original Pokémon story, taking players through the Kanto region once again on a quest to gather all eight badges and challenge the Pokémon League, while also stopping the nefarious Team Rocket's scheme to use Pokémon for profit. 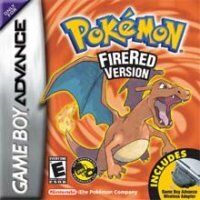 What sets the titles apart from their originals is the addition of features not present in Pokémon Red and Blue, bringing them up to date with the contemporaneous Pokémon Ruby and Sapphire. These include the Dark- and Steel-types, new attacks, natures, abilities, and many quality-of-life improvements made over the past two generations. There is also an expanded plotline that takes place after the Pokémon League is beat for the first time. From here you can find many of the Johto-native Pokémon and even some of their legendary monsters in Kanto and the new Sevii Islands. To keep the same spirit of the originals, players can't evolve their Pokémon like Chansey and Golbat until the National Dex is obtained. Trade with other Generation III games (outside this pair) is also restricted until certain requirements in the game are met. For more details on the game, check out our comprehensive guides using the links on the right-hand side.